can't believe i missed this. i get ecapcity updates to my email too. next run i'm gonna grab for sure. good look! 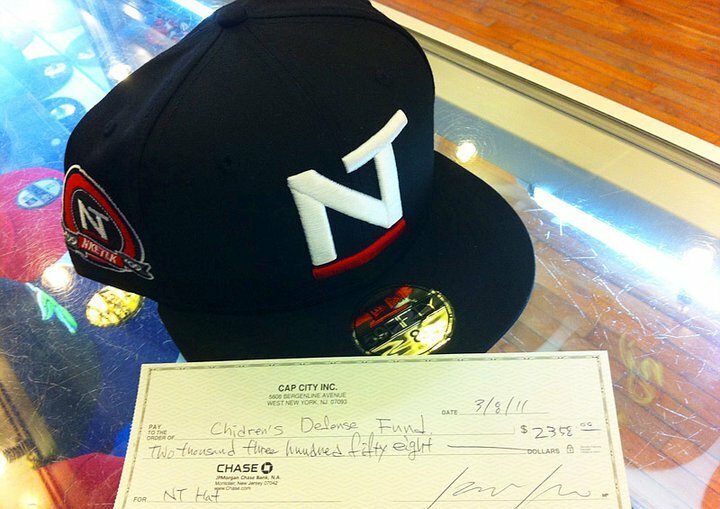 there should be some NT Snap Backs AYE! Keep it the same. I want in on the 2nd batch. Ill have to keep my eye out for the 2nd run..you should do the same one that was a nice hat. when is second batch going to come out? Word I finally got a little play money. but im not sure you know the feel of putting two hats in your cart (one for me and one for my bro ),trying to check out ,then told that "you can only purchase one hat at a time",then refreshing your cart only to find that there are none left .....................You Know That Feel BRO!?!?!?! ?.................................i dont think you do! NT make some more damn hats!!!!!! This topic needs to be unpinned to make room for our Somalia fundraiser. I would've posted this earlier (before it was pitifully anticlimactic), but I'd hoped we could lure Rajah back to make the official announcement since he had more to do with these caps than anyone. Ultimately, the first series NikeTalk caps generated a total of $2,358 for the Children's Defense Fund. We'll be sure to post news regarding the next series of NikeTalk caps as soon as we have more information to share. In the meantime, I'd like to thank you all once again for your overwhelming interest and support. We'll do our best to make sure that more of you are able to enjoy our next offering. you big dummy likes this. that's pretty awesome, i wish i had the chance to contribute and get a hat at the same time. ^ At everything in Meth's post.